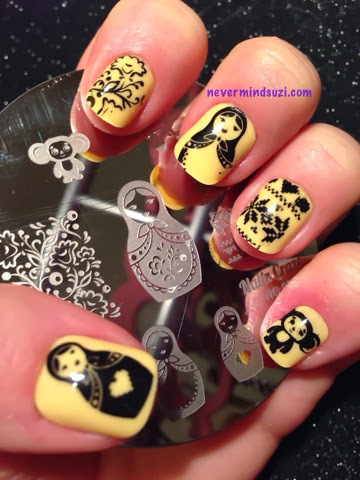 Some more stamping from me. 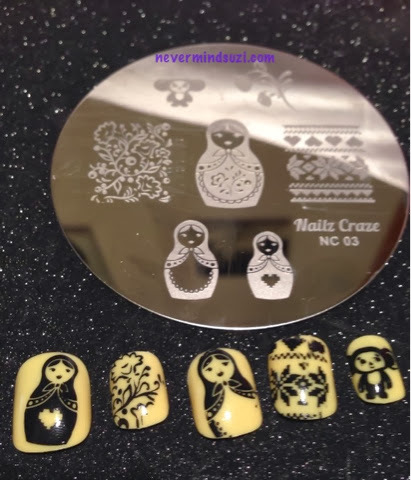 I've used Nailz Craze NC03 which can be purchased here. 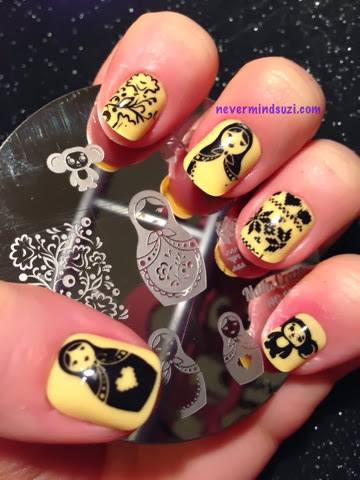 I love this plate as I'm a huge Matryoshka fan. 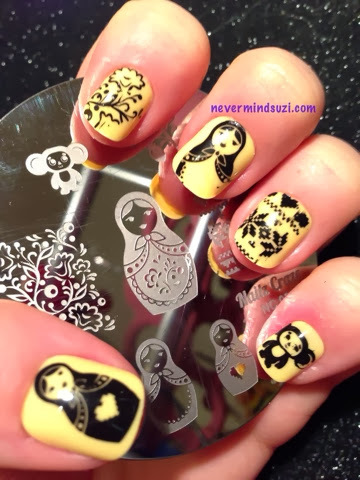 The patterns are all so pretty but even with falsies I've small nails and the largest Matryoshka image was too big for me. Again the falsies are the colour they were, a nice lemon. These falsies are fool proof if you don't want to do any more with them than pop them on. I need to practice centreing my patterns and covering the whole nail. I think I read somewhere that the larger doll was designed to be split over two nails?